Top Notch Driving Schools online DRIVERS ED COURSE has been approved by the California Department of Motor Vehicles. It will help you attain the knowledge you need to start in-car lessons with Top Notch Driving School. With TopNotchDrivingSchool.com You Get The Best! Content designed to help you pass your written test the first time. Take Sample test as many times as you need too. Education That Lasts A Lifetime! Teens, we know because we've been there too. The desire to drive is great because this means freedom. Our course it designed to give you the wisdom and knowledge to be a SAFE and RESPONSIBE Driver. We'll hold your hand all the way. You are not alone in this. Top Notch Driving School is here to make this a memory for life. Our course is designed so that you can learn anytime anywhere at your own pace. Go back to learn models as many time as you need. Take the sample test as often as you need. Our goal is to help you pass on your first try. No Need To Worry — Top Notch Driving School Is With You! Driver's education is one of many big steps your teen will take in their life. Many parents get nervous. Don't worry! You'll get through it. When your teen takes online California driver's education with TopNotchDrivingSchool.com, they get an online course that covers every important aspect of driving that all California drivers need to know. Parents can test drive the course along with their teen to see exactly what their teen is learning. The online California driver's education course allows your teen to take California driver's education comfortably at home, from any Internet-connected computer. They can set up their own study schedule, from 30 minutes to 2 hours. The material in our California course covers things such as: signs, road rules, weather conditions, various driving environments, avoiding collisions, and sharing the road with other drivers. Our online course strives to make all driving students safe & considerate drivers. 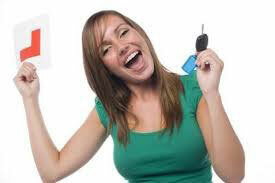 Top Notch Driving School wants you and your teen to have the best drivers education learning experience. We want both you and your teens to feel safe and confident when behind the wheel. With our help, they are on your way to earning your driver's license.